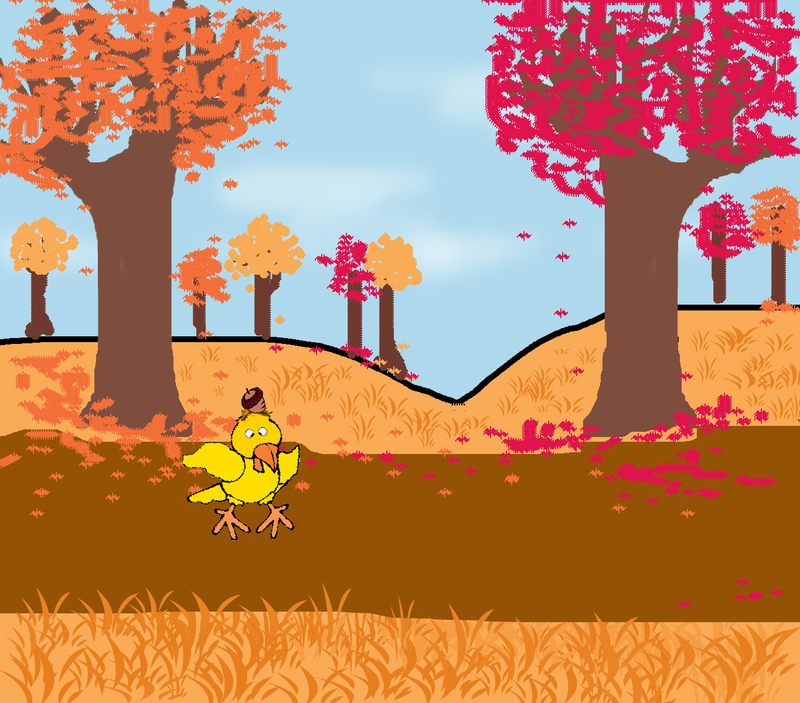 Chicken Little, a somewhat fatuous creature was feeling quite sanguine one lovely autumn day and decided to take a leisurely stroll through the resplendently colorful wood. Suddenly, an acorn fell from a sturdy old oak and tapped the oblivious Ms. Little on the head. Her ensuing reaction was completely devoid of any rational contemplation thus precluding the maintenance of any sort of an equanimous composure that would be appropriate for the situation. Without any investigation as to the source of the unfortunate little knock, Chicken Little jumped to an erroneous presumption: "Indubitably," she shouted, "the sky is falling." So off she went, never giving a moment of time to ponder what this noble monarch, once informed, would or could do about it.